Very attractive all Brick home located on Pinehurst # 6 Golf Course. 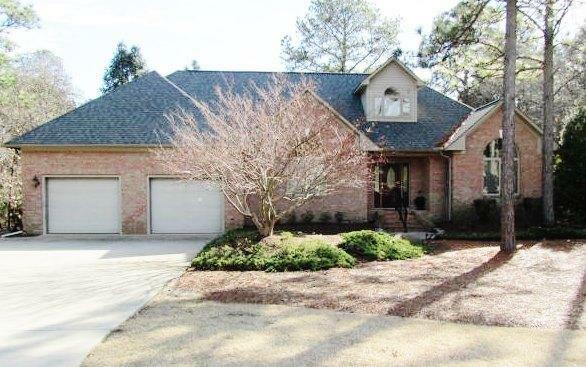 Split bedroom plan with cathedral ceilings, open floor plan, large master suite, 2-car garage, and spacious deck overlooking 4th green of Pinehurst # 6 Golf Course. New Roof 2014-2015, New Heat & Air unit 2012, New Garbage Disposal 2019, Newly painted interior Feb 2019, and much more. Don't miss this great house at a great price.